The reaction of maleic anhydride with phosphorus pentachloride, which leads to polychlorinated 2,5-dihydro-2-furanones, was studied. 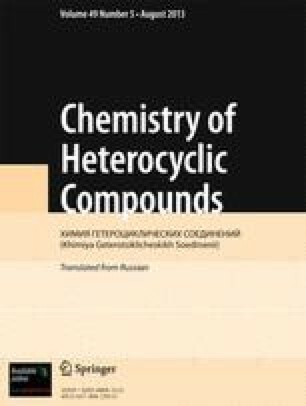 The structures of the compounds obtained were proved by means of spectral methods. Translated from Khimiya Geterotsiklicheskikh Soedinenii, No. 5, pp. 600–601, May, 1991.